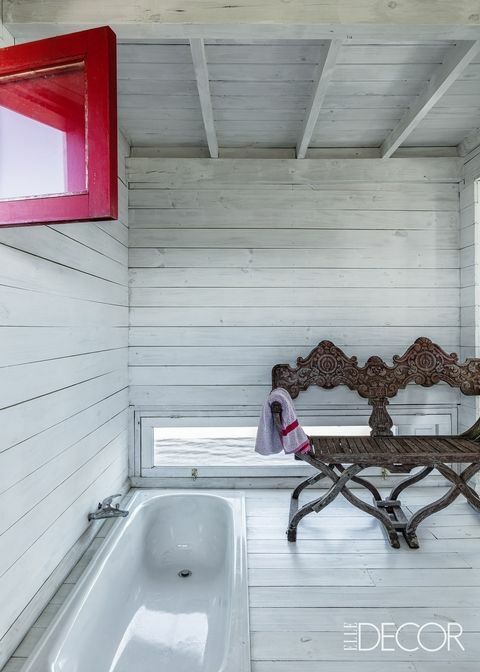 In Uruguay, this boathouse’s sunken tub has view of the lake. The bench is from Zimbabwe, and the room’s colours were custom-mixed by Claessens. 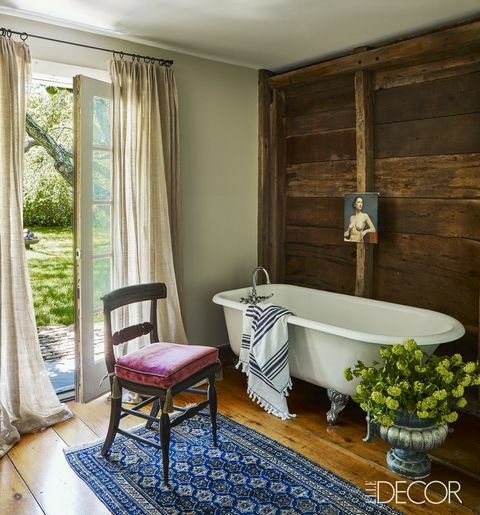 An 18th century wardrobe, an antique Chinese stoll and a reclaimed cast-iron tub fill this master bath in California. 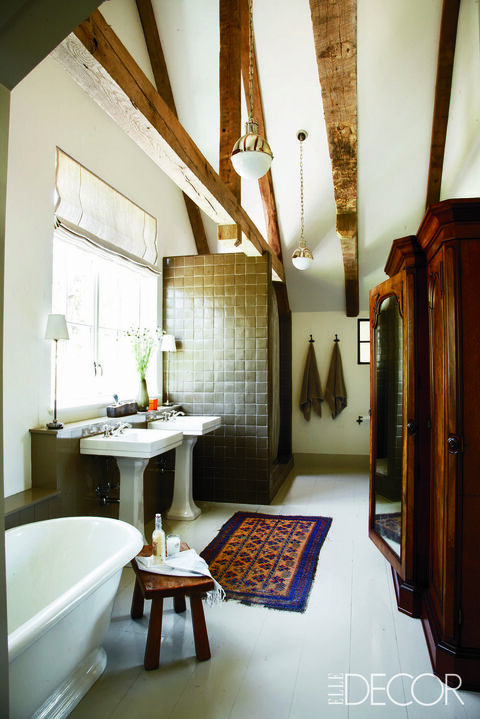 The lamps and light fixtures by Thomas O’Brien are from Circa Lighting, and the sinks are by Lefroy Brooks.